Head of Emmy Noether Research Group "Descartes"
EU FP7 Marie Curie Integrated Training Network "RELATE"
Fachausschuss MMB - "Messung, Modellierung und Bewertung von Rechensystemen"
CSI Transactions on ICT, Springer Verlag. Co-Founder and Co-Chair of the Steering Committee of ACM/SPEC International Conference on Performance Engineering (ICPE) sponsored by ACM SIGSOFT and ACM SIGMETRICS in cooperation with SPEC, http://www.icpe-conference.org/. Steering Committee Member of the SPEC Benchmark Workshop Series. ffrey O. Kephart (IBM Thomas J.Watson Research Center), Marta Kwiatkowska (University of Oxford) and Xiaoyun Zhu (VMware), Schloss Dagstuhl, Germany, 2013. Designated Program Committee Co-Chair for the 12th International Conference on Autonomic Computing (ICAC 2015). Poster/Demo Program Chair for the 10th International Conference on Autonomic Computing (ICAC 2013) sponsored by USENIX, San Jose, USA, June 26-28, 2013. Organization and Program Co-Chair for the 2013 International Workshop on Hot Topics in Cloud Services (HotTopiCS 2013), Prague, Czech Republic, April 20-21, 2013. Organization Chair of Open Excellence Workshop on "Online Models for Quality-of-Service and Resource Management in Modern IT Systems" organized by the "RELATE" FP7 Marie Curie Initial Training Network (ITN), December 4, 2012, Karlsruhe, Germany. Co-Organizer (with Lars Grunske and Ina Schaefer) of GI Dagstuhl Seminar 12211 "Quality-of-Service Attributes in Service- and Cloud-based Systems: Specification, Modelling, Monitoring, Prediction, and Optimisation", Schloss Dagstuhl, Germany, May 20-25, 2012. Keynote Speaker at the 9th International Workshop on Formal Engineering Approaches to Software Components and Architectures (FESCA @ ETAPS), Satellite event of ETAPS, Tallinn, Estonia, March 31, 2012. Organization Chair of Multi-Skills Training Camp, "RELATE" Marie Curie Initial Training Network (ITN), Karlsruhe, Germany, March 13-15, 2012. 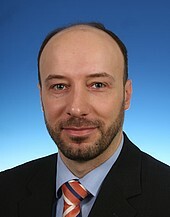 Co-organizer of 3rd Karlsruhe Service Summit, January 27, 2012. Keynote Speaker at the 8th European Performance Engineering Workshop (EPEW 2011), Borrowdale, The English Lake District, October 12-13, 2011. Publicity Chair of the 12th Joint ACM SIGMETRICS/PERFORMANCE International Conference, London, UK, June 4-8, 2012. General Co-Chair for the 2011 ACM/SPEC International Conference on Performance Engineering (ICPE 2011) sponsored by ACM SIGSOFT and ACM SIGMETRICS in cooperation with SPEC, Karlsruhe, Germany, March 14-16, 2011. Local Organization Chair for the 5th International Workshop on Practical Applications of Stochastic Modelling (PASM'11), Karlsruhe, Germany, March 17, 2011. Industrial Chair and Steering Committee Liaison for the 2010 Joint WOSP/SIPEW International Conference on Performance Engineering (WOSP/SIPEW 2010) sponsored by ACM SIGSOFT and ACM SIGMETRICS in cooperation with SPEC, San Jose, California, USA, January 28-30, 2010. Local Organization Chair for OW2 Consortium - Germany Roadshow, Karlsruhe, Germany, March 24, 2009. Program Co-Chair for SIPEW 2008 - SPEC International Performance Evaluation Workshop held in Darmstadt, Germany, June 27-28, 2008. Co-Founder of SPEC International Performance Evaluation Workshop (SIPEW). Online workload forecasting and performance prediction for elastic capacity management in cloud environments. Invited Talk. Salesforce.com, San Francisco, CA, USA, July 16, 2013. The Descartes Meta-Model (DMM) - An Architecture-level Modeling Language for Online Quality-of-Service and Resource Management. Invited Talk. UCD School of Computer Science and Informatics, University College Dublin, Dublin, Ireland, March 22, 2013. Ingenieurmässige Entwicklung verlässlicher und effizienter Software-Systeme. Invited Talk, Faculty of Engineering and Computer Science, University of Ulm, Ulm, Germany, November 12, 2012. Ingenieurmässige Entwicklung verlässlicher und effizienter komplexer Systeme. Invited Talk, Faculty of Computer Science and Mathematics, University of Passau, Passau, Germany, June 29, 2012. The Descartes Meta-Model for Online QoS and Resource Management. Invited Talk, SAP Research, Karlsruhe/Darmstadt, Germany, May 4, 2012. Model-based Self-Adaptive Resource Management in Virtualized Environments. Invited Talk, IBM T.J. Watson Research Center, New York, USA, April 27, 2012. Engineering of Self-Aware IT Systems and Services. Invited Talk, Imperial College London, Department of Computing, London, UK, November 21, 2011. From Offline to Online Component Models for Run-Time Resource Management. Invited Talk, Palladio Days 2011, FZI Forschungzentrum Informatik, Karlsruhe, Germany, November 17, 2011. Descartes Research Group at KIT: Engineering of Self-Aware IT Systems and Services. Invited Talk, Blue Yonder GmbH & Co. KG, Karlsruhe, Germany, November 10, 2011. Engineering of Self-Aware IT Systems and Services: State-of-the-Art and Research Challenges. Keynote Talk, 8th European Performance Engineering Workshop, Borrowdale, The English Lake District, October 12-13, 2011. Model-based Self-Adaptive Resource Management in Virtualized Environments, Invited Talk, VMware, Inc., USA, June 9, 2011.
en des Beirates der Universitätsprofessoren in der Gesselschaft für Informatik (GIBU), Schloss Dagstuhl, Germany, April 17-20, 2011. Self-Aware Software and Systems Engineering: A Vision and Research Roadmap. Software Engineering 2011 (SE 2011), Nachwuchswissenschaftler-Symposium, Karlsruhe, Germany, February 24, 2011. Automatic Performance Model Extraction for Run-Time Capacity Management, Invited Talk (Kolloquiumsvortrag), Department of Computer Science, Christian-Albrechts-Universität zu Kiel, Kiel, January 21, 2011. Engineering of Next Generation Self-Aware Software Systems: A Research Roadmap, Informatik am KIT: Die Nachwuchsgruppen stellen sich vor, Karlsruhe Institute of Technology, Karlsruhe, Germany, July 26, 2010. Towards Self-Aware Dependability Management in Virtualized Service Infrastructures, Dagstuhl Seminar 10292, Resilience Assessment and Evaluation, Schloss Dagstuhl, Germany, July 22, 2010. Performance Management in the Cloud. Invited Talk, Annual Meeting of the GI Fachgruppe Software Architectures 2010, Munich, Germany, July 16, 2010. Automated Model-based Capacity Planning for Java EE applications. Invited Talk, Oracle Corp, USA, December 9, 2009. Using WebLogic Diagnostics Framework to Enable Performance Prediction for Java EE Applications. Presentation to Oracle Corp, USA, September 9, 2009. Performance-Engineering-Research an der Universität Karlsruhe. Invited Talk, CA infoexchange 2009 Conference, Mannheim, Germany, May 20, May 2009. SOA2 - A Vision of Next Generation Service-Oriented Architectures. Invited Talk (Kolloquiumsvortrag), ABB Corporate Research, Ladenburg, Germany, April 3, April 2009. Keynote: SOA2 - Eine Vision für die nächste Generation dienstorienterter Software-Architekturen. Invited Talk, Deutschepost Strategietagung - 6100 Application Service Management MAIL/Retail, St. Goar, Germany, February 9, February 2009. Descartes Projekt - Autonomes Performanz-und Ressourcen-Management in dynamischen, dienstorientierten Umgebungen. Invited Talk, DFG Fachforum Informatik, Deutsche Forschungsgemeinschaft (German Research Foundation), Bonn, Germany, September 30, September 2008. QoS-aware resource allocation and load-balancing in enterprise Grids using online simulation. Invited Talk (Kolloquiumsvortrag), University of Oldenburg, Department of Computing Science, Oldenburg, Germany, August 26, August 2008. Towards Autonomic QoS Management in Event-based and Service-Oriented Environments. University of Cambridge, Computer Laboratory, Cambridge, UK, March 11, March 2008. Autonomic QoS control in enterprise Grid environments using online simulation. Invited Talk (Kolloquiumsvortrag), School of Computing Science, Newcastle University, Newcastle upon Tyne, UK, February 12, February 2008. Performance Prediction using QPN Models: From Capacity Planning to Online Performance Management. Invited Talk, Department of Software Engineering, Faculty of Mathematics and Physics, Charles University, Prague, Czech Republic, January 16, January 2008. SPECjms2007 - A Novel Benchmark and Performance Analysis Framework for Message-Oriented Middleware. University of Cambridge, Computer Laboratory, Cambridge, UK, October 16, October 2007. SPEC Enterprise Java Benchmarks: State of the Art and Future Directions. Invited Talk, SPEC Benchmarking Joint US/Europe Colloquium, Dresden, Germany, June 22, June 2007. Performance Modeling and Evaluation of Distributed Component Systems using Queueing Petri Nets. Invited Talk (Kolloquiumsvortrag), University of Edinburgh, Laboratory for Foundations of Computer Science, School of Informatics, Edinburgh, UK, May 4, May 2007. An Approach to Performance Modeling and Analysis of Distributed Event-Based Systems. University of Cambridge, Computer Laboratory, Cambridge, UK, March 13, March 2007. A Practical Approach for Predicting the Performance and Scalability of Distributed Component Systems. University of Cambridge, Computer Laboratory, Cambridge, UK, April 13, April 2006. Performance Modeling and Evaluation of Event-based Systems. University of Cambridge, Computer Laboratory, Cambridge, UK, March 3, March 2006. Performance Engineering of Distributed Component Systems - From Benchmarking to Modeling and Performance Prediction. Invited Talk, Technical University of Berlin, Institut für Technische Informatik und Mikroelektronik, Berlin, Germany, April 29, April 2005. E-Business Performance and Scalability - From Measuring to Predicting. Invited Talk (Kolloquiumsvortrag), SAP Research Forum, Walldorf, Germany, January 27, January 2005. Performance Modeling of Distributed E-Business Applications using Queueing Petri Nets. Invited Talk, Dagstuhl - Workshop of five Informatik-Graduiertenkolles, Schloss Dagstuhl, Germany, June 16-18, June 2003. J2EE PERFORMANCE: From Benchmarking to Sizing and Capacity Planning. DVS-PhD Internal Workshop, Darmstadt, Germany, May 21, May 2002. Implementing and Optimizing Sun's ECperf Benchmark with BEA WebLogic Server. Invited Talk, BEA Hochschul-Industrie-Kooperations-Tagung, Frankfurt, Germany, November 13, November 2001. Electronic Store: MALL2000 - Mall for Online Business beyond the Year 2000. Invited Talk, Bulgarian Oracle User Group (BGOUG) Annual Conference 1999, Sofia, Bulgaria, November 4-5, November 1999. Copyright © 2013 Samuel Kounev (Last updated: April 2, 2013).